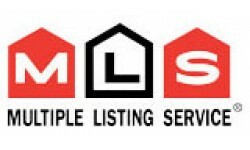 2011 started with a few signals of improvement in real estate market. The condo market, which was impeded and stagnating at its bottom a year ago, began to pop back up, mainly thanks to a planned University City project at the Brentwood Village Shopping Centre. However, the market still followed its weak trend. Two months later, the city’s future development became clearer. In March, the Conference Board of Canada predicted that Calgary, driven by the energy sector, would be among top five cities for growth in gross domestic product in 2011, along with Windsor, Oshawa, Regina, and Saskatoon.The estimations of strengthening in the construction market show that there was no doubt: the Calgary market recovery was about to begin. Sales that increased for the second month in a row supported these expectations. The demand for industrial real estate started growing when larger longer-term deals, a reduction in unoccupied, the availability of newly built space, and an overall increase in demand showed up. The average net rent for industrial real estate in Calgary was $7.84 per square foot in the first quarter of 2011, increased from $7.35 a year ago. “Since the recession began two and a half years ago, we have been slowly absorbing leftover vacancies from the boom times,” said Sean Bradley of the Advent Commercial Real Estate Group. And that was just a beginning of the positive momentum in Calgary’s housing market. In the first quarter of 2011, the Calgary downtown office market occupancy achieved higher levels than during the height of the real estate market in the second quarter of 2008. Lower mortgage rates and improving economic conditions also contributed to the improving results. Employment grew by 16,600 jobs annually in March. Oil companies continued to grow, starting new projects and influencing the real estate market. The unemployment rate continued decreasing, and according to the Business Barometer Index (BBI) that represents the level of future economic growth, Alberta was about to reach the highest level of all Canadian provinces, with 71.6 BBI. “Sitting on the second-largest proven crude oil reserve in the world next to Saudi Arabia with an estimated 171.3 billion barrels—enough to meet Canada’s current oil demand for almost 400 year—is an obvious cause for economic optimism,” explained Business Review Canada. Sano Stante, president of Calgary Real Estate Board, first described Alberta’s housing statistics as more or less stable in July 2011, but hand-in-hand worries about Canada’s housing bubble collapse turned into a hot discussion. “Deriving conclusions on the state of the real estate market nationally does not accurately depict the local market within each region, and certainly not the Calgary market,” assured Mr. Stante. At any rate, a sort of price correction was expected. Meanwhile, after the first seven months of the year, residential sales increased 5 per cent annually, but the condo boom of the last several years signaled moderation due to an excess of supply and lower demand. Moreover, total starts in the Calgary census metropolitan area in July were down 43.6 per cent from the previous year. This didn’t affect the bright prospects. According to a report released in September by the Canadian Real Estate Association, Alberta’s sales growth was expected to be the highest in the country in 2011 and 2012, with the third highest average sale prices in Canada. RBC Economics’s affordability report showed that Calgary’s affordability is much better than the national level and is about to improve. Alberta’s affordability was the best in the country. In November, a report in Emerging Trends in Real Estate 2012 described Calgary as a hot growth mecca but also warned about the strong influence of the energy sector, which can cause an unexpected fall. An advantage is that Calgary is almost independent from the rest of the country and not as vulnerable to Canada’s housing bubble, which is now widely discussed. The Calgary Herald informed that total office demand in 2011 in Calgary’s downtown commercial real estate market was more than four times the ten-year historical average. A report by Newmark Knight Frank Devencore and by the company’s vice-president, associate Michael Gigliuk in Calgary, showed that the total absorption was 3.75 million square feet. The ten-year average demand was 870,000 square feet. CREA’s latest data confirmed that Calgary was the fifth most expensive housing market in the country last year. The average MLS sale price grew by 1.0 per cent to $402,851 (increasing by 1.0 per cent). The national average was $363,346 (increasing by 7.2 per cent). Price growth was much lower in Calgary, but the city’s MLS sales were far above the national average — although not the highest. Sales were up 7.0 per cent from the previous year compared to Canada as a whole’s 2.2 per cent. Calgary’s housing market came a long way last year, and we can say without a doubt that it came out on top, with prospects that only global economic turmoil or a national housing bubble collapse could challenge. “Alberta’s economy is doing quite well, and we’re in a very enviable spot if you look at the G8 countries or many regions in the U.S. It’s hard to find a place right now that’s actually doing better than Alberta or Western Canada in general,” said Todd Hirsch, ATB Financial’s senior economist.